Basking in the morning light and the goodness of oatmeal. Sharing a body lotion which may help many especially in this weather. 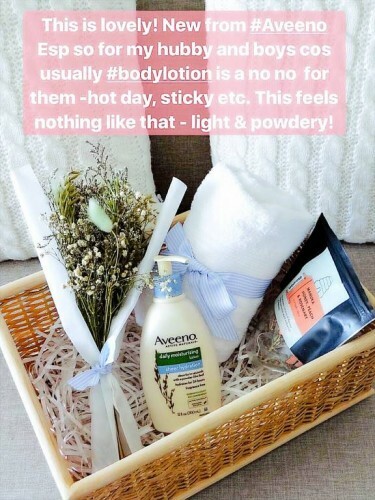 I often hear family, friends and readers hesitate when applying body lotion because they want to avoid feeling icky, especially on a long day. But so we skip it!? And how about dry skin? How about those working in the air-con office? Don’t let the hot & humid weather keep us from hydrating our skin especially when we have options -non greasy and sticky. 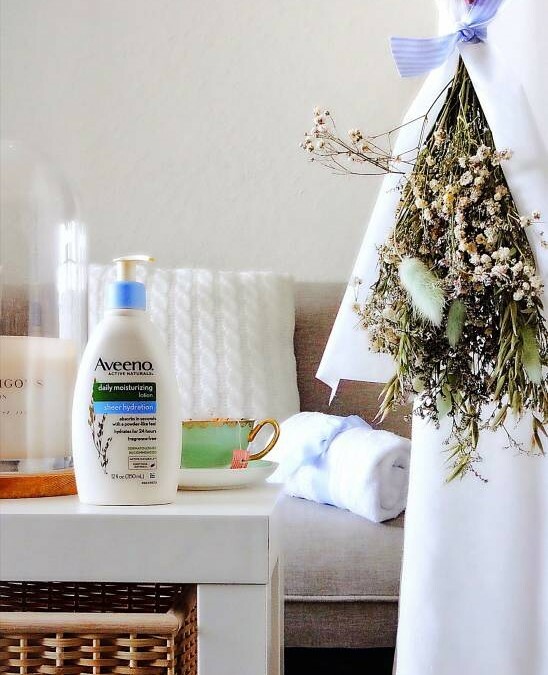 In fact, I find the new Aveeno® Sheer Hydration Moisturizing Lotion turns feather-light powdery within minutes. Such comfort, truly impressive! Dermatologist-recommended, fragrance free & made from naturally active colloidal oatmeal (soothing for sensitive skin, eczema, dry skin), I use it after shower day and night, rain or shine! If you like what you see here, feel free to write to me at leanne@loveforskincare.com. I'd love to hear from you, be it suggestions, collaboration requests and more!